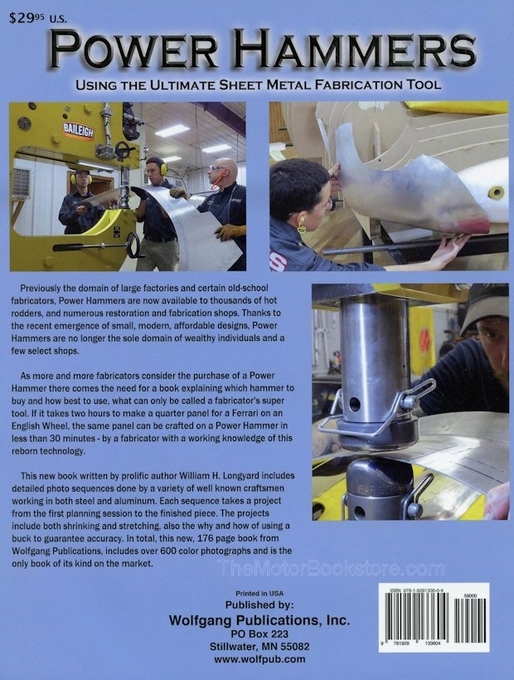 Power Hammers: Using the Ultimate Sheet Metal Fabrication Tool looks at the procedures well-regarded craftsmen use to create specific fabricated sheets of metal. Not surprisingly, power hammer fabrication once belonged exclusively to factories and shop fabricators that owned heavy equipment and had training in those instruments. This is a delicate operation that requires a deft hand, meaning, once upon a time, if you had a project that required a three-quarters panel, you were dependent on an expert and the expense that came with it. But with the latest advancement in the technology, the tools for power hammer fabrication can be in the hands of anyone willing to put a little effort into discovering this unique field. With this book in hand, everyone from hot rodders to car collectors and restoration shops can manage their power hammer fabrication. 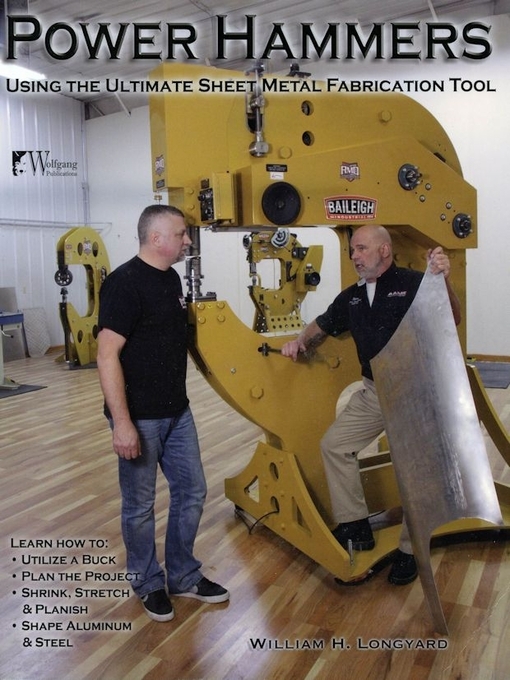 Get detailed step-by-step images and easy-to-following instructions for working with steel, aluminum and fabrication equipment. 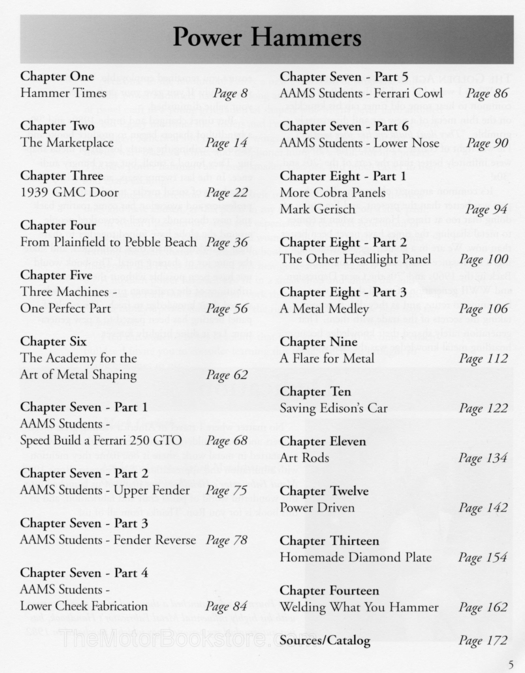 Power Hammers: Using the Ultimate Sheet Metal Fabrication Tool is broken down into 14 chapters, each detailing either an aspect of fabrication or an entire project from start to finish. Learn about the art of metal shaping, designing sheet metal for hot rods, creating an upper fender and finding the perfect tool for each project, whether you�re working on a Cobra or a 1939 GMC. You�ll learn how to locate body lines, how to perfect flares, and study tools like the English wheel and the MH-19 hammer. Discover the best way to push a crease into metal, how to use hitch pins, ways to shrink, stretch and planish, and how to utilize a buck. 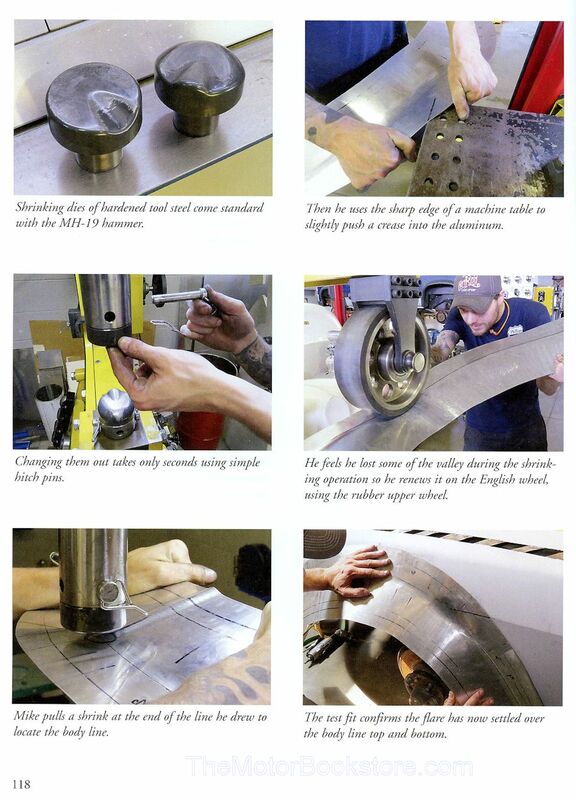 The book can even show you how to streamline complicated processes, giving you the 411 on taking a typical two hour project and getting it done in under 30 minutes with the right knowledge and fabricator. For the price, what you�ll get in return will be invaluable. Manage your power hammer fabrication or even start your own business. But you won�t know what you can do until you read the book! Below: Power Hammers Sheet Metal Fabrication Sample Page. Copyright Wolfgang Publications. Ask a question about Power Hammers: Sheet Metal Fabrication Tool.